If you’re having pain when you step down on your foot and you think a plantar wart causes it, it’s time to seek professional help. 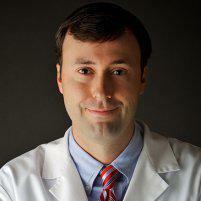 Dr. Joe Griffin, CWSP, FAPWCA, is a podiatrist who specializes in removing plantar warts. Located in Daphne, Alabama, Coastal Foot Center offers prescription medications and innovative laser treatments to remove your wart and reduce your pain. Call today to schedule your initial consultation or book your appointment conveniently online. Plantar warts are non-cancerous skin growths that occur on the bottom of your foot. They’re caused by a viral infection and spread person to person, and although they may cause you irritation and pain, they're usually harmless. Plantar warts tend to be small, and most are about the size of a pencil eraser. They’re often solitary but can develop into clusters, called mosaic warts. In some plantar warts, a black dot may appear in the center. Many people refer to this as a seed wart, but it’s actually a small blood vessel that grew into the wart. Plantar warts are often hard and flat and have a well-defined boundary. They may be brown or gray. While foot warts can appear anywhere on your foot or toes, plantar warts are always on the soles of the feet. How do you get a plantar wart? Warts are caused by a virus and spread person to person, although you don’t have to have direct contact with a wart or the person it’s on, to contract the virus. Often, the virus spreads indirectly. You may be exposed to a plantar wart virus in a public shower, swimming pool, or locker room. Although anyone can get plantar warts, they’re most common in teenagers. Can you get rid of plantar warts? You can get rid of plantar warts, although they can be resistant to treatment. In some cases, they may reappear. If you’re experiencing your first plantar wart, contact Dr. Griffin before you use an over-the-counter wart cream. These creams often are ineffective on plantar warts and may cause damage to the healthy skin surrounding the wart. In most cases, Dr. Griffin recommends prescription ointments or medications to treat your plantar warts. These medications are effective, although it can take months to for the wart to go away completely. In chronic conditions, or when a plantar wart is causing intense pain, he may recommend a laser treatment to remove the wart. If you have a plantar wart that’s causing you pain, see a podiatrist who can find the right treatment. Call Coastal Foot Center today to schedule your appointment or book it easily online.